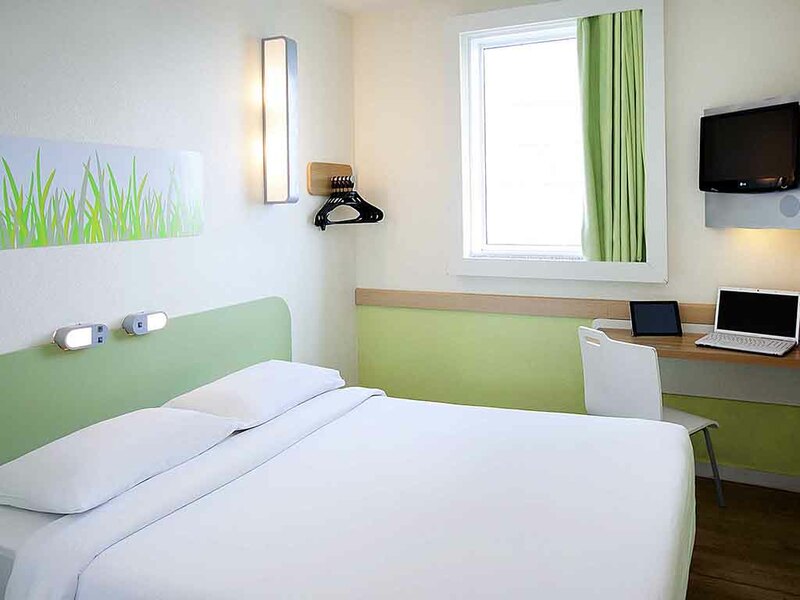 The ibis budget Vitória hotel is ideal for those seeking value for money. Located on the city's main avenue, known as Reta da Penha, and just 3.5 miles (5.6 km) from the airport and 5.1 miles (8.2 km) from the bus station, the hotel offers all the essentials at a reasonable price; modern facilities, great service, optional breakfast and free parking subject to availability. Rooms are equipped with comfortable beds, air conditioning, free WIFI and a flat-screen TV. excellent location, in front of bakery, market, bars, restaurants and much more. Everything is ok and was good. The staffs were very nice and helpful, the room was small but good enough! The only thing that could improve, in my opinion, is the breakfast, which was a little expensive for what it had. Maybe to add some eggs, whole wheat bread and iogurt would be nice! Almost everything was ok, except that there’s no soap available for guests! Ok, but check in was too lomg. Check in was horrid. More than 30 mins wait time. Great service by Karina and Aline! Dener P Perth, United Kingdom 77 Reviewed 2 days ago via mobile Great service by Karina and Aline! A good hotel, affordable price, but I does nothing extra apart from what it says on the tin: there is not even a shampoo/conditioner in the room. The male receptionist who checked me in was a bit off-is/cold. So first impressions were not great. Then it came the morning: a smiling and welcoming receptionist (Karina), a warm and friendly welcome in the breakfast room, good selection for breakfast, all with a no-fuss service. And during the day whenever I needed anything Karina and Aline were there to give me guidance and answer my questions/requests whenever I needed. So, even after the first impression on the arrival was not great, the girls manage to switch an unhappy customer to a very happy one. And they didn’t even know I wasn’t that impressed. They were just doing their thing and they clearly showed me they are an asset for the business. Thank you girls and I will be staying there next time I am back in Vitoria! If you are on your own, and don´t care about space at all. Then this is the best value for your money. If you can afford a little bit more there are much better options. The bathroom offers no privacy and flooded the room.